We know that your pets are part of your family and that leaving them when you have to be away can be hard. At Ammon Veterinary Hospital we look forward to caring for our dog and cat guests. 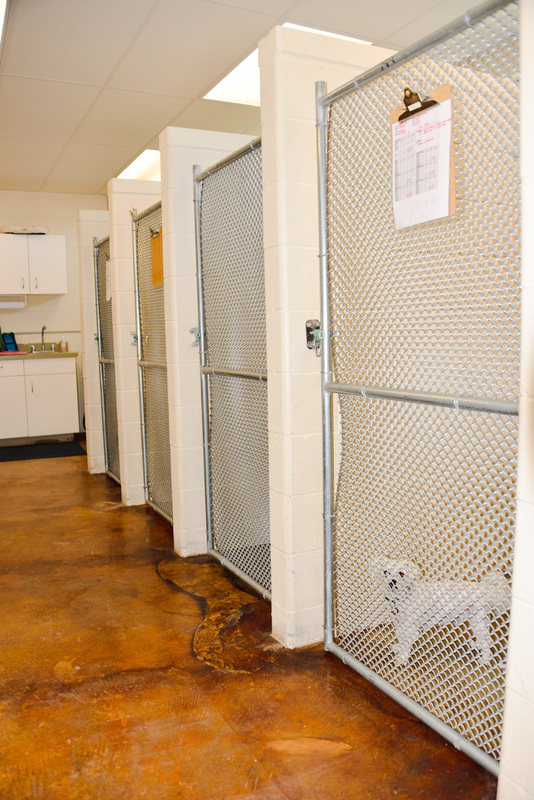 We provide quality care to your pet in a climate controlled facility while you are away. 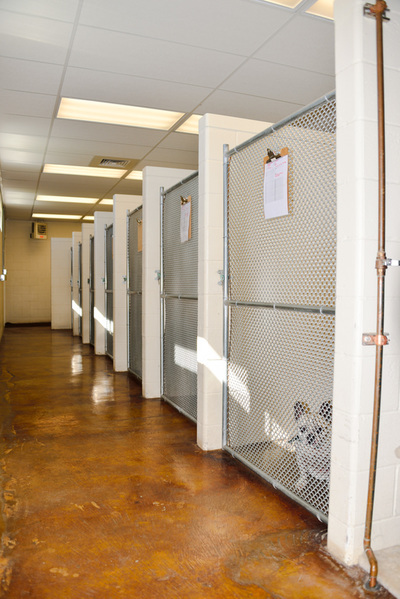 Ammon Veterinary Hospital offers medium- and large-sized kennels to accomodate different sized dogs or families of dogs. We offer a safe and healthy environment to care for your furry friend while you're away. While your dog is with us, he'll be allowed out in our play yard at least twice per day; and, we offer individual walks upon request. We feed Purina EN, which is a special intestinal diet; and, we provide bedding for the comfort of your pet. 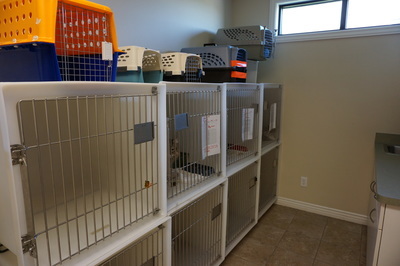 Our feline boarding is in a separate, enclosed room, to provide calm and quiet for our feline guests. Each cat gets her own condo, and is given an opportunity to stretch her legs in the boarding room and receive individual attention. We feed them and change their litter boxes twice per day or as needed. We do require your pet's vaccines to be current to board with us at AVH. Distemper-Parvo combo (DHPP), Rabies and Bordetella (Kennel Cough) vaccines are required for dogs. Cats need to be current on their Distemper combo (FVRCP) and Rabies. If you have questions about the status of your pet's vaccines, ask one of our staff members. If your pet's vaccines were administered at another veterinary facility, please bring proof of vaccines with you upon check-in. Ammon Veterinary Hospital would like to inform all clients that we will now be requiring ALL boarding and grooming dogs to have a Bordetella vaccine 2 weeks prior to any boarding or grooming services, for the safety of your pet. Additionally, we recommend that high-risk patients recieve the Canine Influenza Virus (CIV) vaccine. Know that even if your dog is vaccinated, there is a higher risk, at this time, for your pet to develop a cough after boarding, grooming or mingling with other dogs. For more information about CIV click here, or call us with any questions you may have. Saturday from 8:00 am - 12:00 pm. Sunday pick-ups can be scheduled by appointment only, with pre-payment at the time of drop-off. Food, bedding and routine boarding care are provided in the cost of boarding. If you pick your animal up before 12:00 pm, you will not be charged for the night. However, if you pick your pet up after 12:00 pm, you will be charged an additional night. Please call with any questions or to make a reservation, at 552-9825.